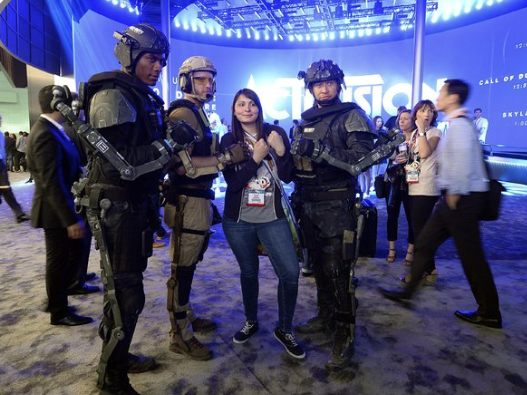 Game design is an art - and for Call of Duty we created costumes, weapons and more. 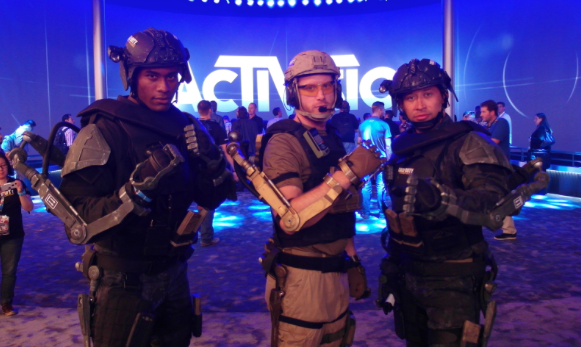 For highly anticipated Call of Duty Black Ops 2, we we lucky enough to help design some key game elements — including various weapons, hero props and drones — which sent the gamers on our team to video combat heaven. One challenge with video game work of this kind is the lack of supplied 3D data for the existing game elements — it usually can’t be provided. So for Black Ops 2, we captured 2D images directly from the video game screen and used them to create 3D models we could work with. 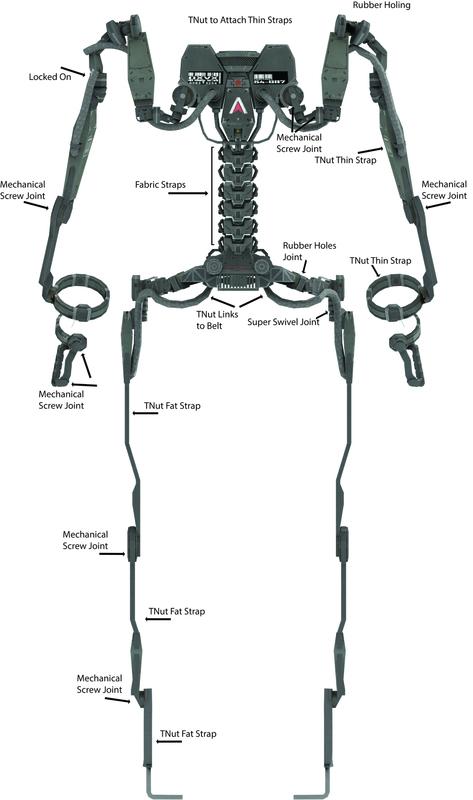 If you don't know what an exo-suit is, we can tell you all about it. 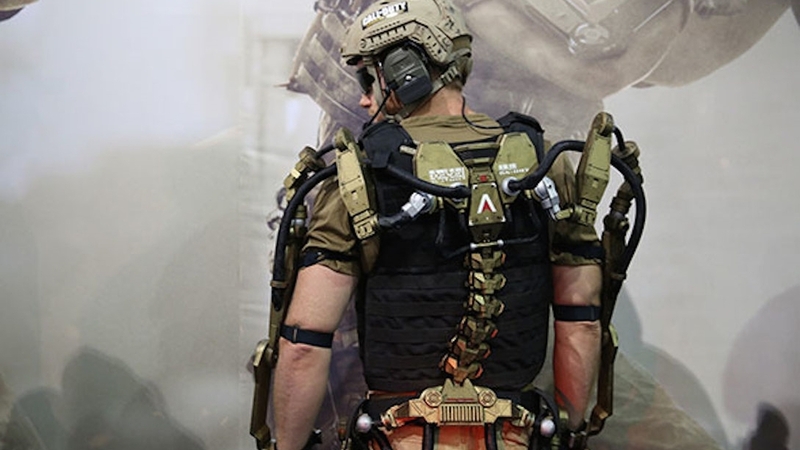 For Call of Duty Advanced Warfare, we created several of these special suits — gear that looks like robotic armatures, running down the actor's back onto their legs and arms. 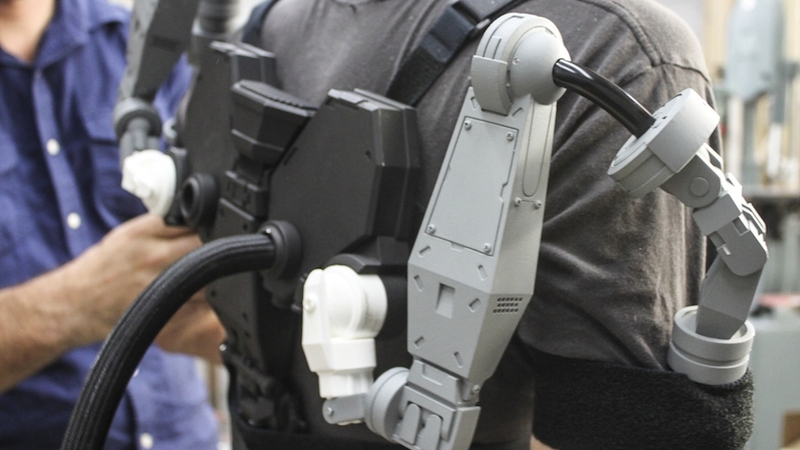 Collaborating with Jared Chandler of Sacred Sword, a military prop shop and longtime contributor to the Call of Duty franchise, we used the full scope of our in-house capabilities — including 3D modeling, 3D printing, laser cutting, CNC machining, custom fabrication and graphic design. We created six total suits with different paint schemes and conﬁgurations. Once completed, we had a fantastic time testing the flexibility and fit of these suits on ourselves.